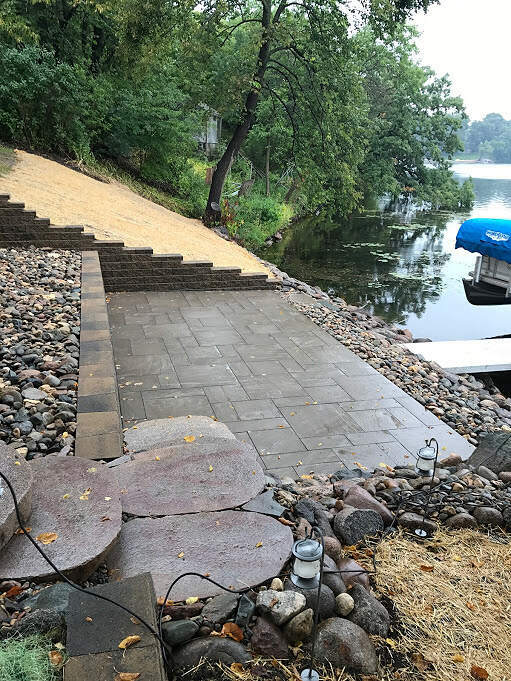 Lake Shore Services has attained and maintained a high reputation in the landscaping industry; we take great pride in our work. 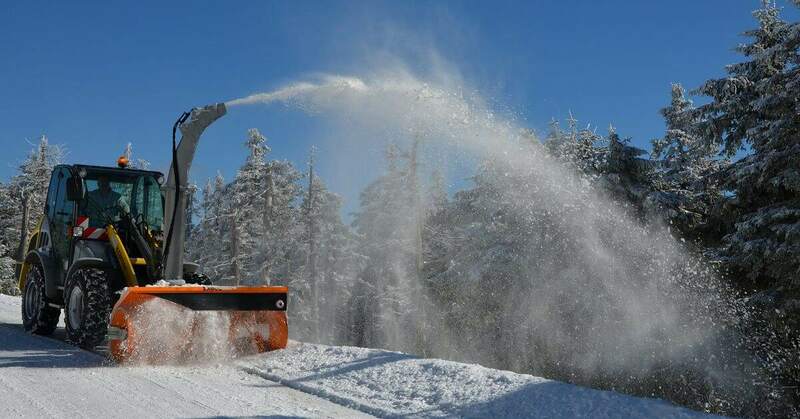 In addition to the many lake shore services we offer, we are always proactive and professional. Our use of hi-tech, efficient systems, along with our friendly staff, guarantees a lasting impression. We happily serve the Lakes Area including Pelican Rapids, Ottertail, Battle Lake, New York Mills, Frazee, Vergas, Dent, Lake Park, Cormorant, and Hawley. We transform your property with our knowledge and experience as landscape contractors. 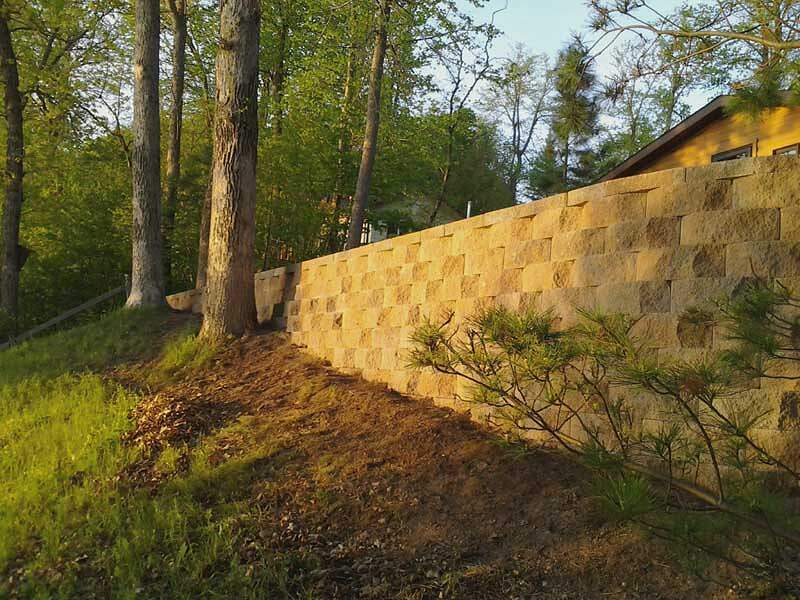 Our Lake Shore Services team is trained to handle your property’s specific erosion control needs. 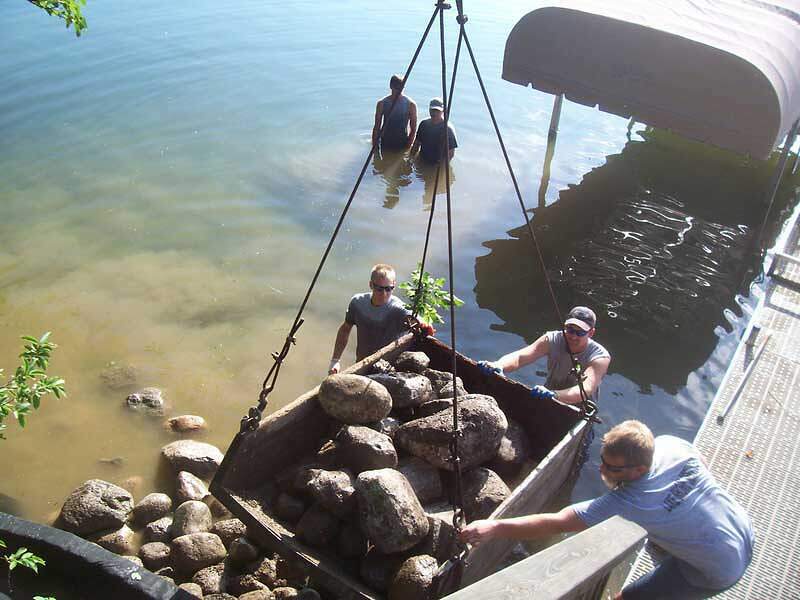 We can repair your shoreline with our rip rap services. 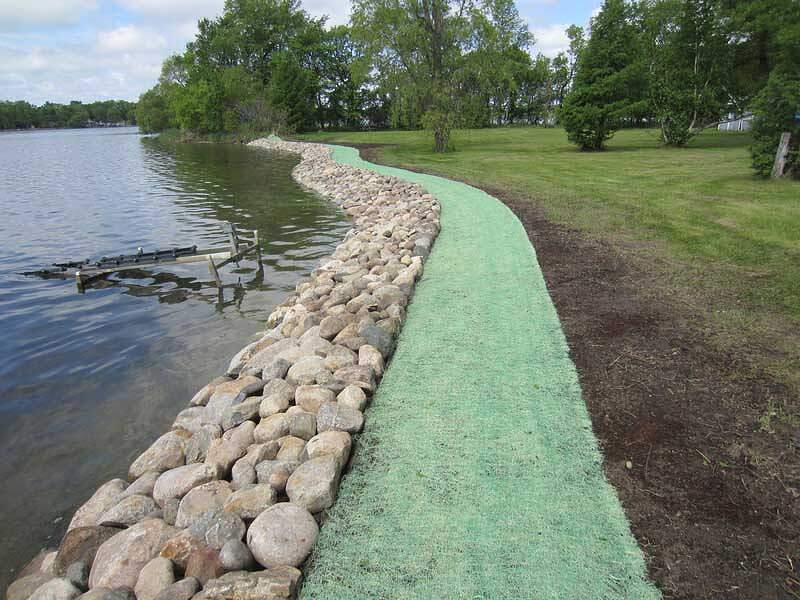 This helps to restore the shoreline as well as prevent erosion. We create sturdy steps and boardwalks for your safety, as well as to add aesthetics to your property. Click the button below to visit an online gallery of our projects. Otter Tail and Becker counties. © 2018 Lake Shore Services. Website by Arvig® Media.